Lots and lots and lots to update you with since the last blog post which was all the way back in December!! I’ve been mega busy with lots of different projects and got loads to tell you all about, so since it’s almost a quarter of the way through already let’s finally get the 2019 blogging season off to a start shall we! Ok so that’s enough camera geekery for one blog, what’s the damn thing like to shoot I hear you cry… well… it’s amazing! build quality is second to none, it just feels very well balanced despite being quite a large camera, the viewfinder is HUGE and bright and lovely which makes manual focussing a doddle, alongside the ever brilliant FE2 I now have my perfect 35mm dynamic duo! These images were taken on a portrait shoot with Model Rebecca back in Feb when we had a mini heat wave - I was so glad we made the most of the sunshine! The FE2 was loaded with a roll of Portra 160 and with the F2 I shot a roll of Fuji Acros 100 and a roll of Portra 400 - I enjoyed using this combination of film and cameras so much and was very happy with the results that I decided right there and then that I’m going to shoot film from now on for portraiture. Let’s take a moment to reflect on the film stocks used on this shoot - I’ve had a couple of rolls of Fuji Acros 100 on ice in the freezer for a few years now and since buying it Fuji have discontinued production :( having only shot one roll of it before I figured I’d give it a whirl and I love the results, developed in HC110 it has a clean and balanced finished with lovely contrast. So there we have it - I was so pleased with how both cameras performed and I continue to be impressed at the quality of the Nikon lenses, the images here were shot on the Nikkor 50mm 1.4, Nikkor 24mm 2.8 and the Series E 100mm 2.8 - super sharp shooters the lot of them! If you’ve not tried an old Nikon camera and lens I would urge you to do so - there’s a reason why these were the manufacturer of choice for professionals back in the day. 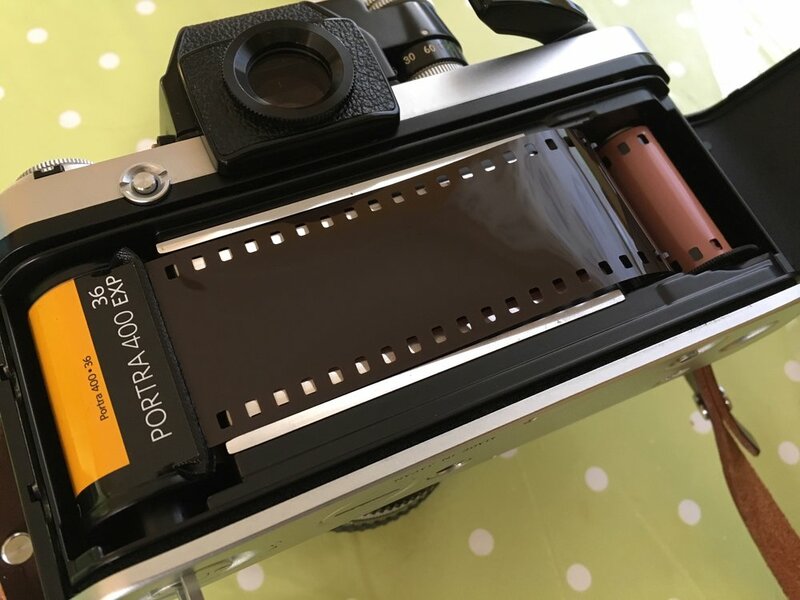 I developed the colour film at home too - the first time in a long time that I’ve done that, I was really pleased with how they came out and I’ve got a write up of the process and kit that I used on the way, I promise it won’t be another 3 months before I write another blog, in the meantime happy shooting!